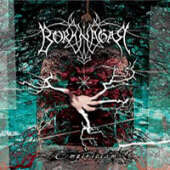 Borknagar with “Empiricism” have moved away from their ‘epic metal’ roots in “Borknagar” and “The Olden Domain”. This fifth outing has Borknagar taking the helm in a progressive almost retro metal experience, one that has to be listened to fully to appreciate what “Empiricism” is all about. Borknagar I always thought had a problem with vocalists, first Garm (or Trickster G. or whatever) and then Simen Hestenes (ICS Vortex) joined up with Borknagar and then promptly left after two albums. It seemed this band would never be able to hold down a vocalist for more than two albums. The interesting element in this is whether the absence of a permanent vocalist is a good or bad thing. Garm was perfect for “Borknagar” and “The Olden Domain”. These were essentially two straight-out black metal albums with clean and operatic vocals to splice and spice things up a little. Perfect for their time and perfect with Garm. Simen Hestenes joined a slightly subdued Borknagar for “The Archaic Course” and “Quintessence”, his sporadic vocal styles and diversity helped elevate Borknagar to a peak beyond other black metal bands. This is something Garm could not have done. ICS Vortex was the perfect man for the job on “The Archaic Course” and “Quintessence”. 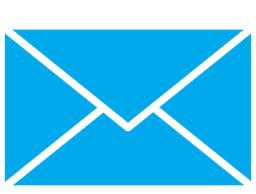 “Empiricism”; the fifth chapter. Vintersorg’s chapter. A chapter that neither Garm nor Vortex could achieve with the success that Vintersorg has. Borknagar have changed and progressed beyond what the two ex-vocalists could possibly immerse themselves in. Whilst not saying that it is beyond their capabilities to handle, I don't believe Vortex or Garm could assimilate themselves into the new Borknagar to the extent that Vintersorg has embraced the concept of Borknagar circa 2001. Vintersorg has embraced emotionally, talent-wise and has the rawness about him to make “Empiricism” succeed on all fronts. Never before has a vocalist sounded so diverse and euphoric. So what is Borknagar circa 2001? A hard question to answer. Borknagar has let go of the little black metal elements that held them back in “Quintessence” and become an entity that will not let themselves be restricted by labels or genres that we like to tag them with. Lars the keyboard dude is awesome... and I think if The Doors were still around he would be the man to knock their keyboard man from his job. Borknagar has an even more distinctive sound thanks to his synthesizer work. Oystein G. Brun, Jens F. Ryland and Tyr play their guitars so damn well and they flow so harmoniously together that it is almost a crime to have all these six guys in a band together. Along with drum wizard Asgeir Mickelson Borknagar should be outlawed for their creativity and proficiency. The only mishap I have with “Empiricism” is that Vintersorg’s vocals are mixed too low in some instances, an example being ‘The Genuine Pulse’. Apart from that this is the release of the year by an absolute mile. My favourite album and has exceeded my expectations as I hoped Borknagar would. Bottom Line: Originally I was skeptical with Vintersorg the new vocalist... but how I was proven wrong! The Borknagar team get better and better with time. “Empiricism” is the finest album out there this year.